Abundance is everywhere. We just have to be open to receiving it. I got out of my comfort zone a lot this week. I love getting out of my comfort zone, although I never would have believed it a few years ago. I used to spend a lot of energy staying in my comfort zone. Now, however, I know that whenever I feel afraid, it means there’s growth there for me, and so I actively seek ways to get out of my comfort zone. So this week, one of the things I did that was out of my comfort zone was an interview. I’d been asked to do an interview on abundance. I love talking about abundance, and it’s something that comes naturally to me, but I am new to the whole interview thing, and the way it was set up was something I’d never done before. I really wanted to do a great job. I wanted to show up authentically, I wanted to share my heart, and I really wanted to say something that mattered to whoever listened. So, I was feeling the nerves. Abundance is everywhere, for everyone. The Universe, or God, or whatever higher power you believe in, wants you to thrive. The Universe has so much available to every human being on this planet, and is just waiting for us to align with it. What do I mean by align? I mean, believe that what you want is possible. Fix your thoughts on what you want, not what you don’t want. The more we focus on our lack, the more our energy aligns with that lack, and that is what we attract. Fix your thoughts on what you want, not what you don't want. The more we focus on what we want, the more our energy aligns with that (money, relationships, health etc) and that is what we attract. I am seeing this happen in my life, as I consciously shift my energy and focus onto the things that I want to attract. So, the morning of the interview, I was feeling nervous and slightly stressed. Aware of this, I chose to shift my awareness onto the abundance all around me, to bring my energy up to a higher level. A level of openness and receiving. The sun was shining, and I took my coffee and stood in the back yard. I closed my eyes and felt the warmth of the sun on my face. I felt gratitude for the beautiful day, the blue sky, and the wonderful opportunity that was available to me in the form of this interview. I opened my eyes and saw a dragonfly circling around me. I never see dragonflies in my backyard, so it caught my attention. It was huge…one of the biggest dragonflies I’d ever seen. It was beautiful – shimmering in the sunlight, wings a blur as it floated through the air. I’m not a huge bug fan – in fact they generally freak me out – but for some reason, this dragonfly didn’t. In fact, as I watched it circle around me, I felt peace and calm wash over me. I marveled in it’s beauty. A few minutes passed, and I started to feel something more. I felt a presence – something bigger was happening here. I became intent on watching this dragonfly and feeling into what was going on in the space. It just wouldn’t leave, and kept close to me as I opened to the possibility that this was a moment, a message even, from the Universe. I had no idea what that message might be, but I felt certain there was something here for me. I stayed with the dragonfly for about ten minutes, until it was time for me to go to the office and prepare for the interview. Sitting down at my computer, I googled dragonflies, and their symbolism. What I found out blew my mind. The symbolic meaning of a dragonfly is change and transformation. Seriously! 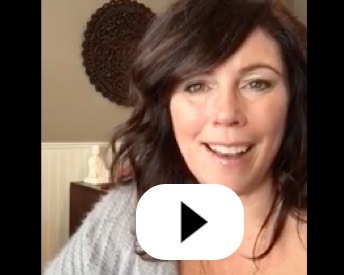 Here I was, about to give an interview on abundance, and how when we open to abundance we see it everywhere, and how when we align with what we want it will come to us, and I get a sign from the Universe saying YES! What you are about to speak on is going to change lives! Your message brings transformation, so that others can experience an abundant life! You are on the right track, and you are on the right path! I felt so grateful for this confirmation that the message I was about to deliver was exactly what I was meant to say. Now check this out: As I was celebrating this hug from the Universe, I looked over at the paperweight on my desk. It’s been there for years, and I don’t really notice it anymore, but I noticed it now and picked it up. 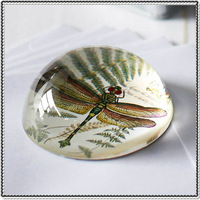 The paperweight has a dragonfly on it. I laughed as I held it in my hand. I felt so loved and cared for in that moment. The Universe aligned with me at that moment to make sure I really knew that He has my back. That He is for me. That He is with me, always, and when I align with my destiny, and open up to more, He is right there letting me know I’m on the path. There are so many possibilities out there for us all….each and every human being on this planet. When you believe this, and begin to believe that what you want is possible, you open yourself up to the Universe. Then, when you actually take steps to go for what you want – when you work on your own behalf, and take action to begin to get it – the Universe knows you actually mean business. You’re not just sitting on the couch hoping it comes to you. You are out there taking steps to making it happen. That’s when you begin to see things come to you. You are now open and on the watch for possibilities, solutions, and signs. It might be a tiny thing, like a dragonfly, or it might be a huge thing, like a relationship or a better job or more clients. Whatever it is, believe it’s possible. Take action to make it happen. And be open to the ways in which the Universe will bring it to you. Often, it is in a way that we totally couldn’t have predicted and didn’t expect. What are you longing for in your life? What will you choose, right this very moment, to believe is possible for you? Believe it. Commit to action. And be open to the Universe sending you messages and opportunities that align with whatever it is. It’s all out there, waiting for you! This is a beautiful story. I relate to dragonflies because my mother loved them. On the day after my 23 year old son died I was thinking of Mom and praying for help in dealing with this. Some time later that day my husband picked up a hand towel he’d been using to dry his eyes and it crackeled. He looked and saw a dragonfly fall out of the towel, perfectly intact, dried It was “impossible” that it could be there at all. Or was it. I’m out of my comfort zone right now and i tell you, it better be worth it. Because it’s very very hard to be here. 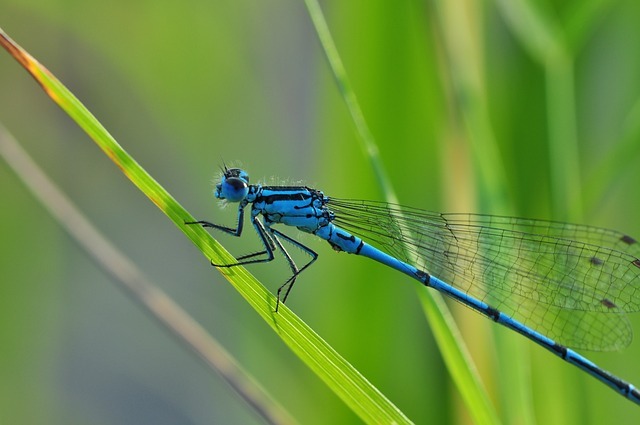 Thank you so much for sharing your beautiful story of your connection to dragonflies. What an amazing sign from the Universe….you are in a place of change and transformation, and it’s going to be okay. I understand how hard it is to be out of the comfort zone….stay the course. Ask for help. Surround yourself with love and light and know that you will come out the other side so much stronger. I stand with you and acknowledge your courage. Thanks so much Valerie. It means a lot! Great read! I like the idea of pushing yourself to do little things each day to get outside your comfort zone. I find myself getting comfortable in my work and try to do something new each week.